The apostle Paul affirmed that the gospel message and our personal faith is founded on the fact of Jesus’ death, burial and resurrection. A fact confirmed by multitudes of witnesses (1 Cor. 15:1-8). Tommy pointed out that while Jesus’ miracles of healing the sick, restoring sight to the blind, casting out demons, and cleansing lepers was accepted and believed by His followers, that somehow they doubted both his ability to raise the dead and be raised from the dead. As demonstrated when the crowed laughed at the idea that he could raise Jairus’ daughter from the dead (LK. 8:42-52). In fact, his good friends Mary and Martha somehow could not contemplate the possibility of Jesus raising their brother from the grave. When he arrived at their home, they said, “If you had been here, my brother would not have died.” When Jesus said Lazarus would rise again, they agreed he would on the resurrection day, but didn’t see it happening then. That’s when Jesus declared “I am the resurrection and the life. He who believes in Me, though he may die, he shall live. And whoever lives and believes in Me shall never die.” (JN 11:25-26). Jesus had other plans. There was no need to wait. Because He who was “the resurrection and the life” had arrived. This audacious claim moved their hope from some far off event to the present time. Following His prayer to the Father, Jesus cried, “Lazarus, come forth!” And indeed he did. As Tommy expressed it, “Death was the final frontier for Jesus to conquer.” And indeed He did in dramatic fashion. When Jesus died on the cross and his lifeless body was removed and placed in Joseph’s new tomb, everyone said, “he’s dead.” The soldiers at the cross. Mary and Mary Magdalene. The dispersed crowd who had jeered and mocked. Pilate. The Pharisees. And Joseph of Arimathea, a wealthy and prominent council member who came to claim the body for burial. They all said, “He’s dead. But more importantly, so did the apostles. Scattered, saddened, and dispirited, they fled, hiding in fear of their lives. No doubt believing it was all over. And their cause was lost. 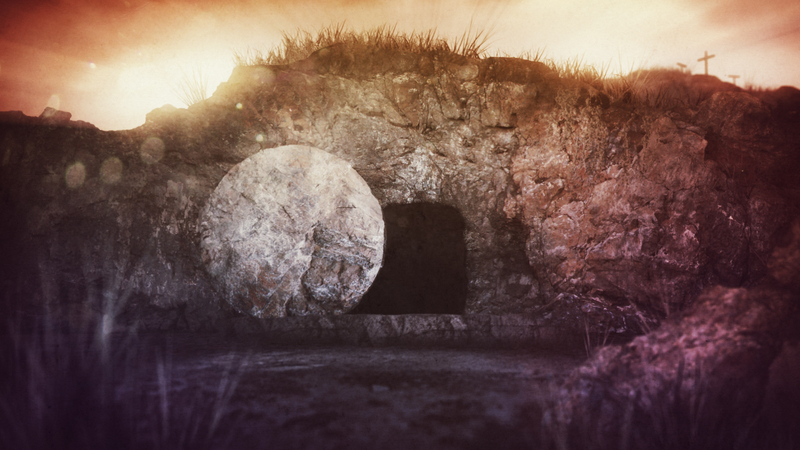 In fact, when the news came that the tomb was empty they were slow to believe. And one of the greatest proofs that Jesus did conqueror death was the dramatic change in the disciples’ demeanor. Their sadness turned to gladness. Their cowardice to courage. Their faintheartedness to faithfulness. The book of Acts records their bold proclamation of the gospel message predicated on Jesus’ resurrection. If it was all a hoax, why would these men who first doubted, change their minds and give their lives for a lie? In fact, skeptics were convinced. Like Thomas, and James, and Saul of Tarsus. Tommy asked, “How do we account for the change in the apostles without the resurrection?” “What transformed these weak men into pillars of strength? “It’s hard to see how anything less than the resurrection could have made such a drastic difference in the disciples,” he concluded. As I reflect on this week and last night’s lesson, I’m reminded that every aspect of my life is impacted by Jesus’ resurrection. My mission, ministry, message and manner of life is intrinsically rooted in the resurrection. When we endure suffering, face hardship, and overcome obstacles it’s because He is risen. The resurrection motivates us to treat others right. Be faithful to our spouses. Live a good moral life. And train our children in the way of righteousness. Jesus is the resurrection and the life. And that makes a difference in my life here. And in eternal life beyond the grave. Good job relating Brother Pellers message, what a great week. Thanks for your blog it encourages me each day. Another good analysis and summation of Tommy’s lesson Ken. I’ve enjoyed reading your blog this week since getting your card Tuesday. You definitely have a talent for stating things in such a concise, yet comprehensive way so that we as readers can enjoy and understand much better. (at least for me anyway) Good Job Sir !